In a recent podcast conversation, I was able to talk to the fellas over at LensRentals.com. With their warehouse being full of every type of photography and videography gear, I was curious to know what camera is flying off the shelves in their warehouse. And their answer might or might not be shocking to some. Not only is it flying off the shelves, they have a hard time even keeping it in stock. 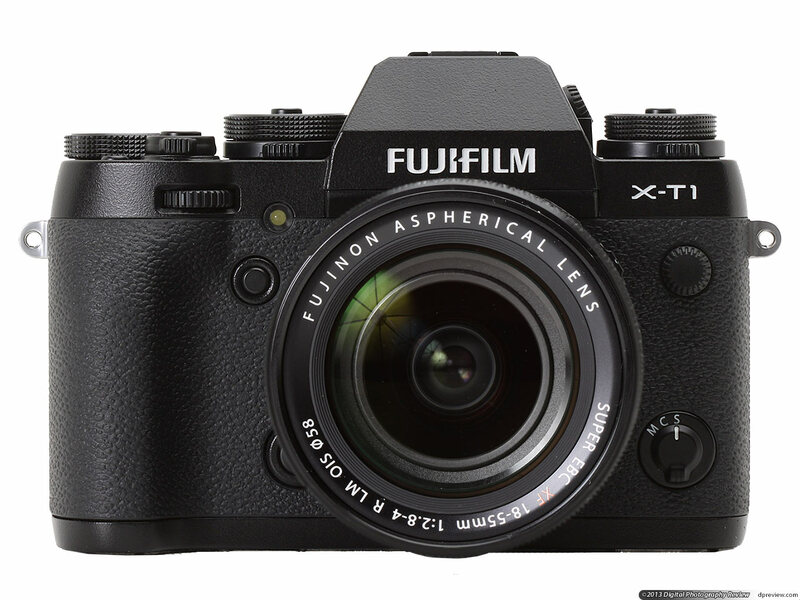 Without hesitation, the Fuji XT-1 was their pick for this month’s “hot gear” choice. So lets dive into it. Why is it flying off the shelves? Why is it such a hot and wanted piece of gear right now? Here are just a few reasons. The Fuji X-T1 is a semi-pro level mirrorless camera with a strong design, offering a fully-loaded mirrorless camera in a weather-resistant, SLR-style body. It may be smaller in size compared to a large DSLR but it’s capabilities are very comparable. The X-T1 has one of the largest EVFs (electronic view finder) I’ve seen. I loved the numerous manual control dials on the exterior of the camera body that was also designed to attach an optional battery grip (which is very unusual for an X-series camera). In addition to the standard full EVF, it has a clever side-by-side dual mode for manual focusing, as well as the Digital Split Image technology seen in the previous generation cameras. Additionally, theres a large 3.0″ tilting rear LCD for image composition and review. The X-T1 uses same sensor from the X-E2 and X100s, providing high-resolution images with stellar low-light performance. The on-sensor phase detection autofocus provides fast performance, with tracking ability to boot. It offers a maximum of 8fps continuous shooting for up to 47 frames. The normal sensitivity range spans ISO 100-51200 and actually produces useable results at those sensitivities. For those who don’t want quite that much control, theres also aperture and shutter-priority as well as full auto modes. So if you’re wanting to just switch your mind to letting the camera do all the thinking or even hand it to someone else to do the shooting, this camera will not let you down. No surprise, the X-T1 also features Full HD 1080p video recording at up to 60 fps. Key video features are full-time AF tracking during recording, +/- 2 EV exposure compensation, Film Simulation settings, and 2.5mm external mic input. You can wirelessly trigger and transmit images using a smart device and the free Fujifilm Camera App, as well as perform automatic backup of images to a connected computer. The great Film Simulation modes, which is one of my favorite features, are there for those who have a preferred film signature, and if art modes are your thing theres a variety to choose from. For you time-lapse loves, the X-T1 has an integrated intervalometer for time-lapse creation, and a removable accessory flash for quick fill. The camera records images to SDHC / XC memory cards and is rated for about 350 shots per charge using the rechargeable battery. If you’d like to rent the Fuji XT-1, go here, I would highly recommend it. But I must warn you, you might get attached. I just returned my rental and may have cried as I watched it walk away with Mr. Fed Ex man. Have you had an experience with the Fuji XT-1? Let us know your thoughts or show us your results in our Photofocus or Google+ groups.